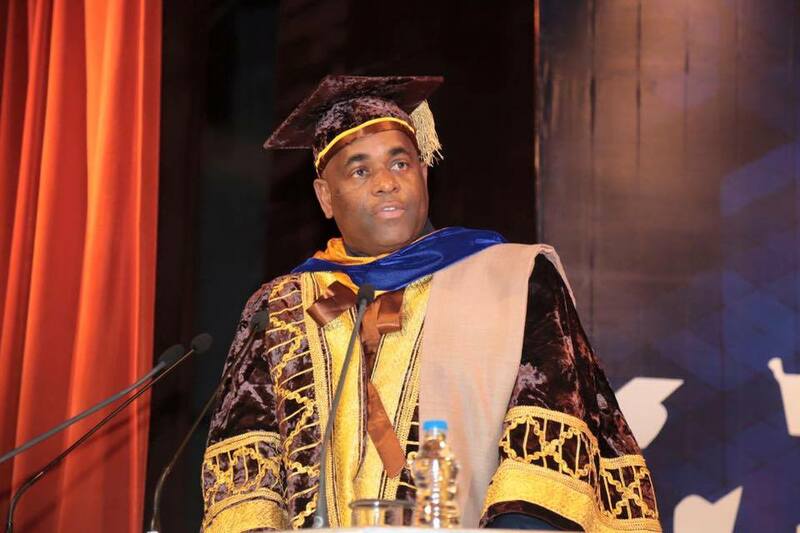 Dominica, and in particular, Labourites are abuzz about an award granted to Prime Minister Roosevelt Skerrit, with some praising this as a recognition of great achievements throughout his life. Let me set this straight; this "doctorate" is nothing. Considering that Kermit the Frog has one too, so what does that say about Mr. Skerrit's "doctorate"? It has been amusing to see the praises that have decended upon Mr. Skerrit. 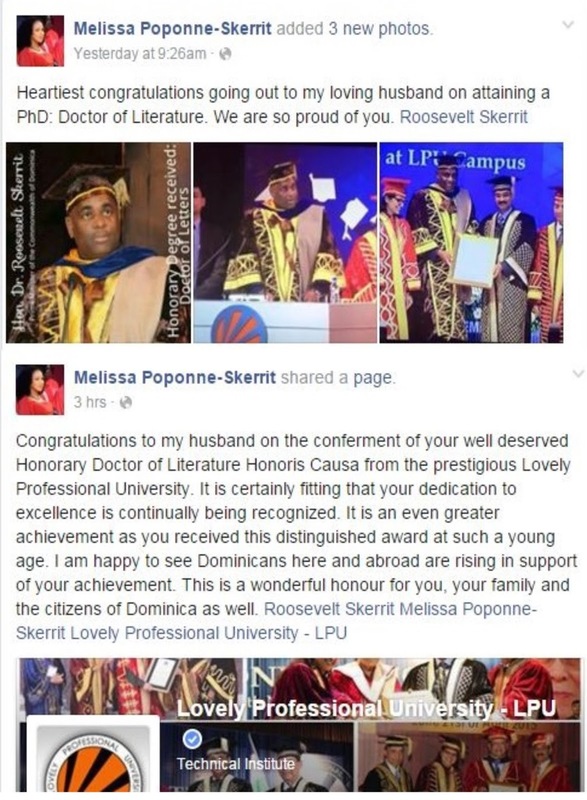 His wife, Melissa, posted on her Facebook profile that Mr. Skerrit has "attained" the doctorate. Attained? Does Melissa know what that word means? This is embarassing. 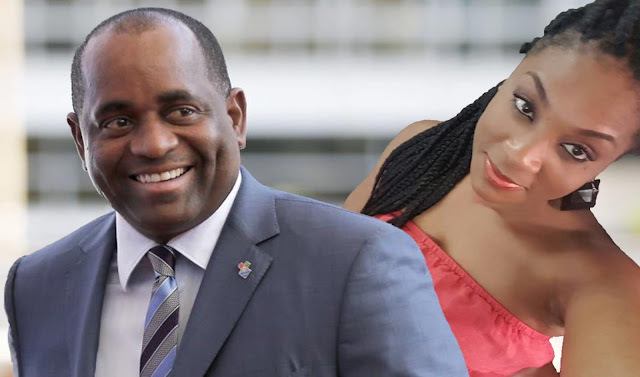 I grew very concerned when more than a few faithful Labourites began hinting that they may seek medical attention from Mr. Skerrit, one even going so far to say that she's awaiting his return so that he can administer to her an injection. What she needs is a mental examination. This entire controversy has caused us to revisit Mr. Skerrits' stated academic record. He has stated, and it is listed on his official profile, that he first attended New Mexico State University and then transferred to the University of Mississippi (Ole Miss), where he graduated with Honors in English and Psychology in 1997. 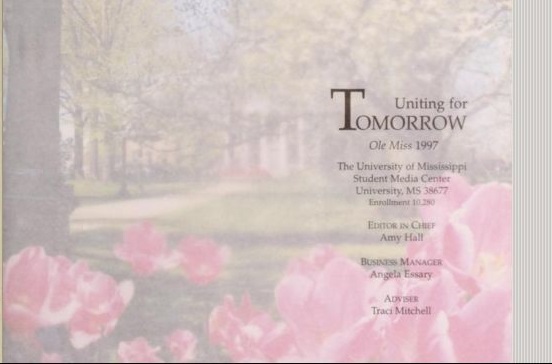 To verify, I contacted the registrars office at Ole Miss today and was directed to the University's 1997 Yearbook, which was available on their website. Mr. Skerrit is not listed anywhere in the 1997 Ole Miss Yearbook. Looking at the list of seniors, Mr. Skerrit's name is non-existent. It also appears to have not existed on the list of Honors students that graduated that year. Ole Miss 1997 Student List, "S" section. The list is alphabetized. 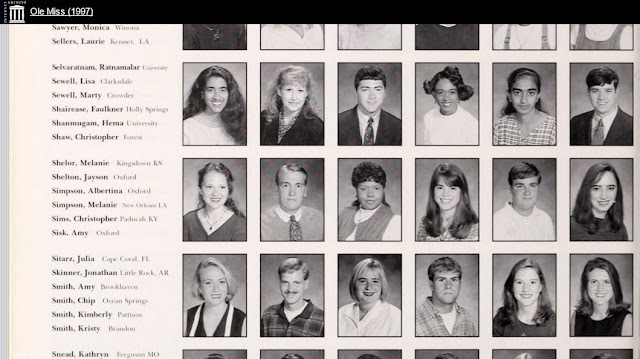 Ole Miss 1997 Seniors List, "S" photo section. The list is alphabetized. Ole Miss 1997 Graduates List, "S" section. The list is alphabetized. Mr. Skerrit's declaration that he is a graduate of Ole Miss is suspect. Veteran broadcaster Angelo Allen is on record of having offered a reward for anyone that can produce Mr. Skerrit's certificates; I believe Mr. Skerrit himself would have such difficulty. 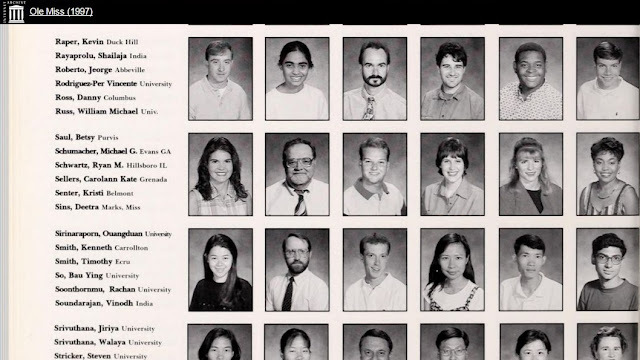 In perusing the Yearbook, we did find one Dominican who attended the university in 1997. Her name is Regina Dudley and she resides in Florida. 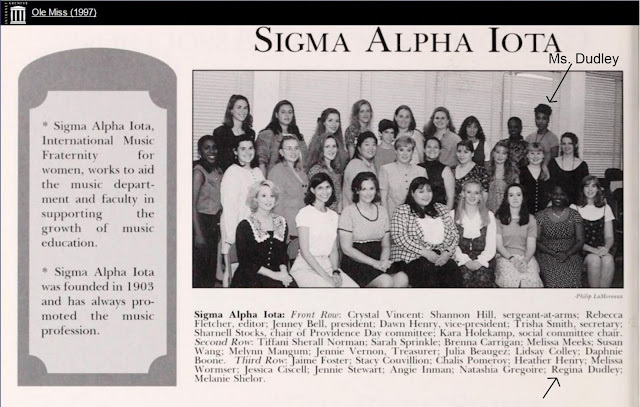 Ms. Dudley, we believe from the east coast village of La Plaine, appears in a photograph of her Sigma Alpha Iota sorority. Ms. Dudley is an accomplished Ole Miss graduate. It would be great if she could shed light on whether she knows of Mr. Skerrit's activities at Ole Miss which coincidently, was at the same time she attended the university. He's listed on the schools alumni page ? ?